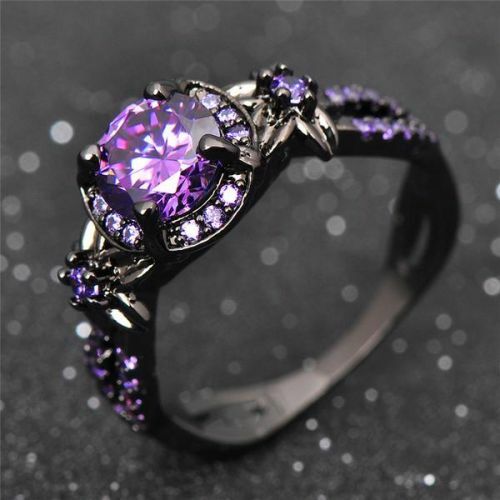 Beautiful Black Gold Amethyst Ring! The ring is Black Gold filled and the stones are Amethyst CZ. Buy one for yourself of that special February baby in your life!